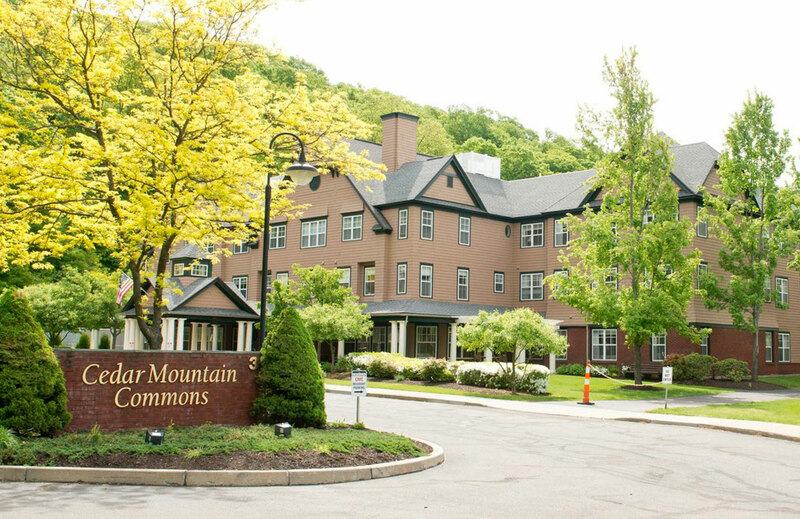 Owned by Hartford Hospital and Jefferson House, Cedar Mountain Commons (opened in February, 2001) is one of the few hospital-supported senior living communities in Connecticut. Independent living and assisted living residents are offered a choice of studio and one or two bedroom apartments in a service-rich environment that includes housekeeping, maintenance, dining, 24-hour staffing, transportation and an extensive calendar of social activities, all included in one monthly fee. For those needing assisted living, Cedar Mountain Commons offers residents assistance with activities of daily living such as medication monitoring, bathing and dressing, as well as escorts to meals and daily programs as needed. Community amenities include a library, Community Room, Country Kitchen, Club Room, Game Room, dining rooms, outdoor courtyard and private walking paths. Every aspect of the community has been designed to create an inviting, home-like atmosphere.